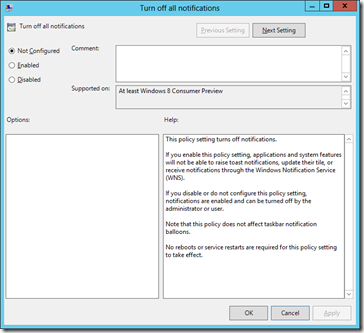 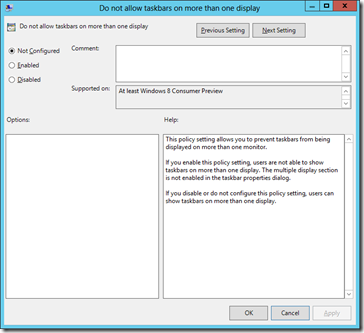 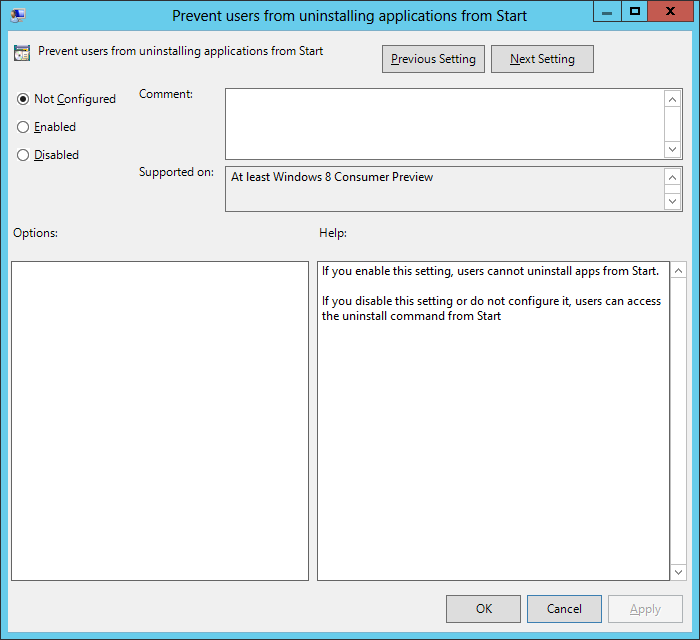 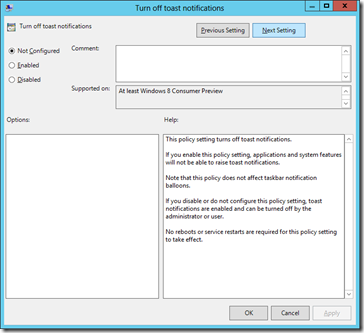 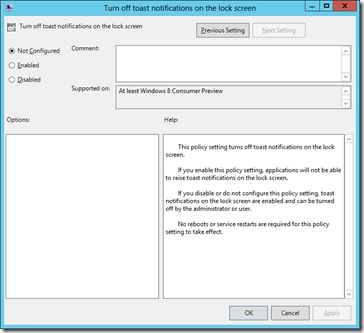 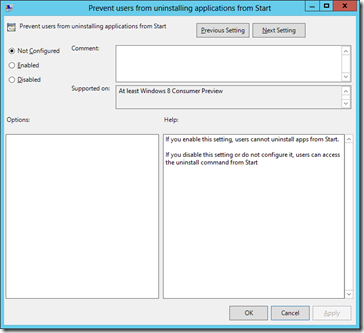 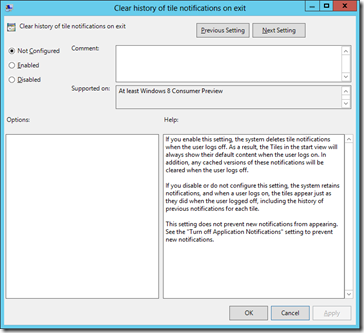 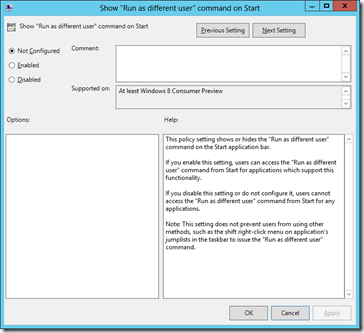 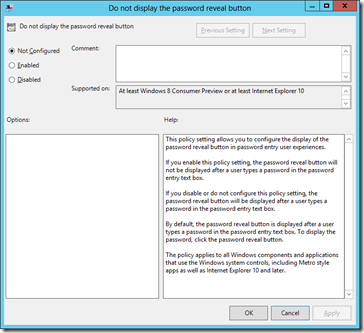 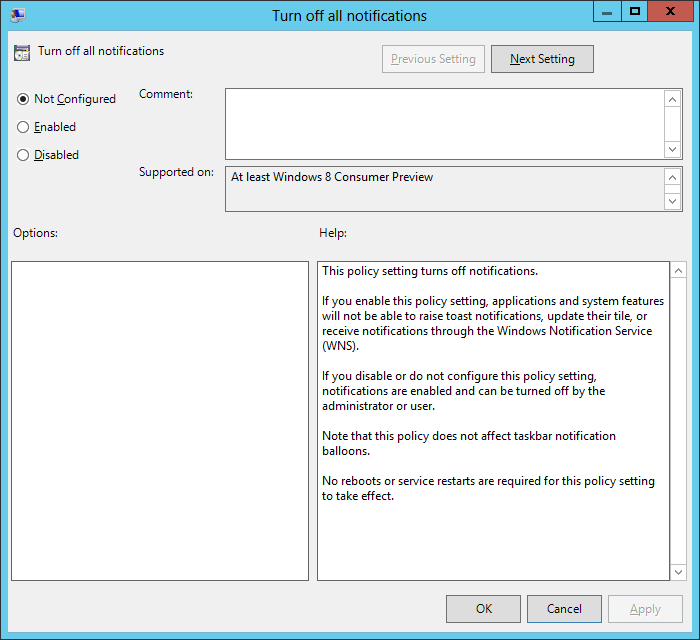 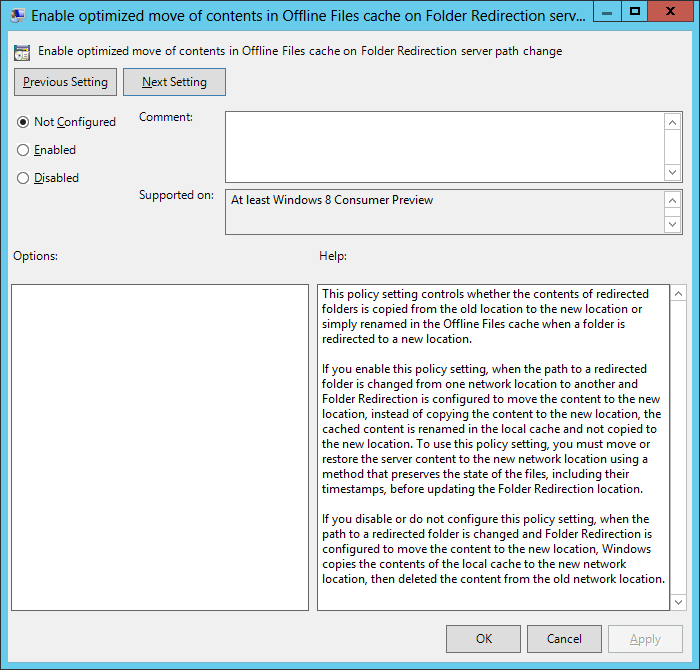 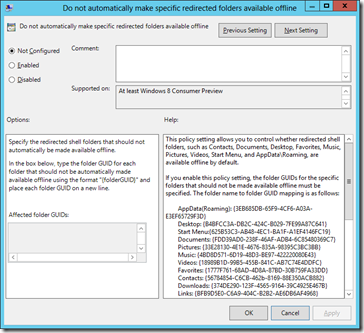 This is part #2 of the list of Interesting Windows 8 Group Policy Setting I have found… this time I list all the User specific setting. 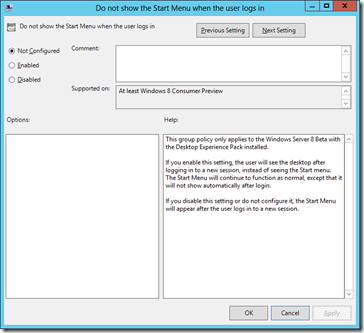 This list is certainly not as long as the Computer setting list but there are some setting that are just as interesting. 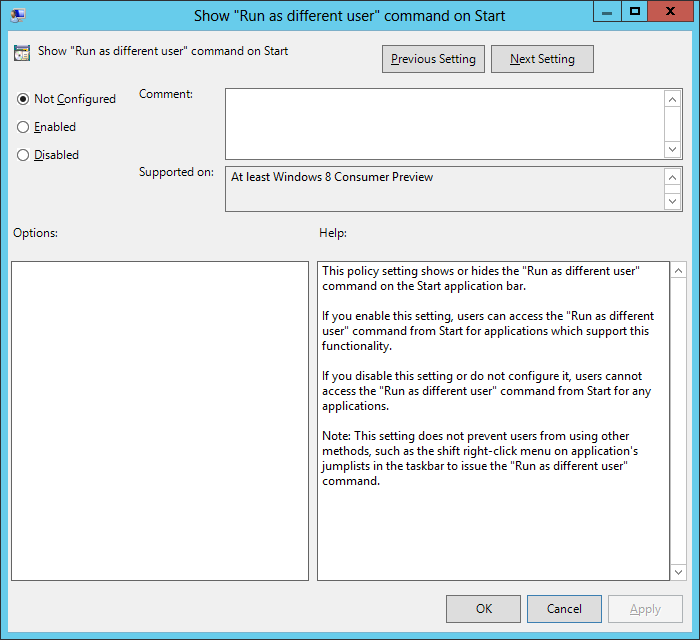 This setting is obviously for the privacy conscious that don’t what the state of their start menu showing when they first log on. 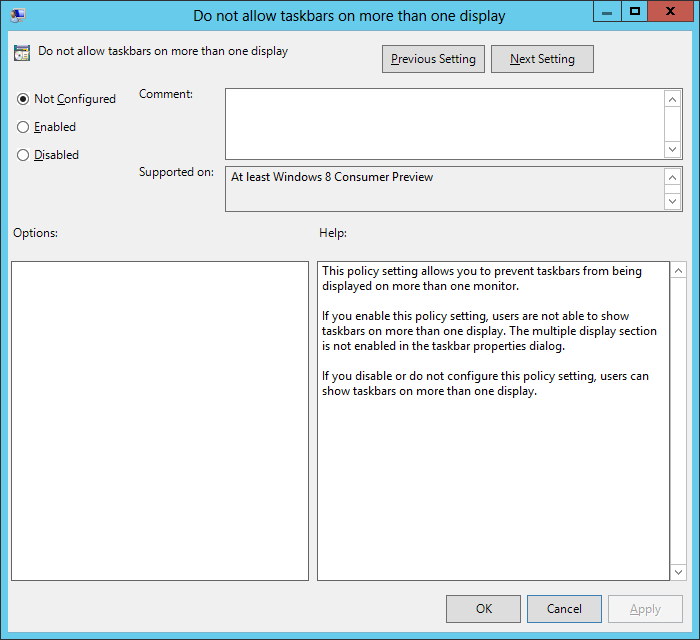 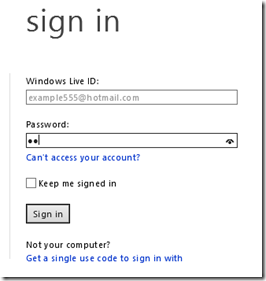 A new feature in Windows 8 is the ability to have a taskbar in multiple windows… This setting disabled that new feature. 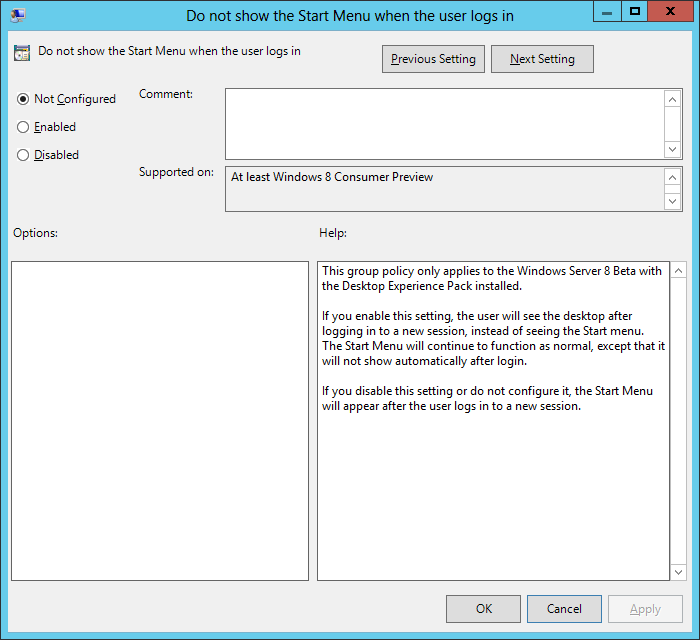 This setting is to make sure user don’t remove any Metro apps from the computer they are using. 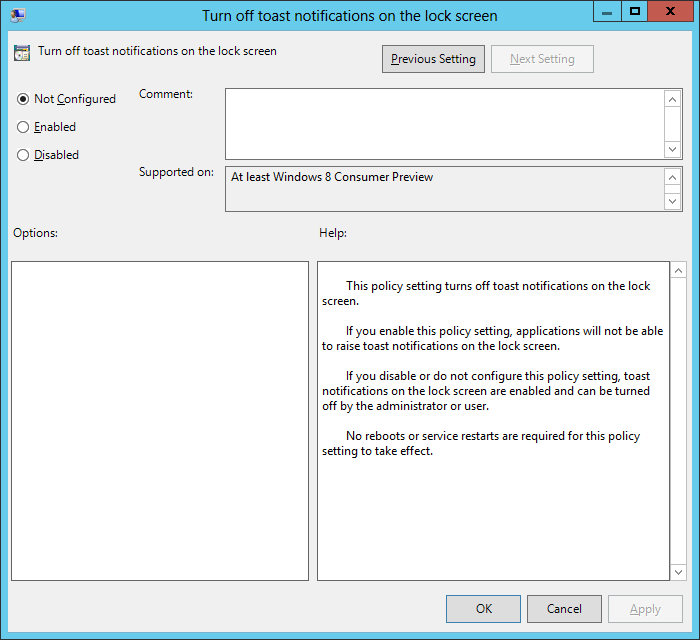 Another lock down setting for people running a tightly controlled environment. 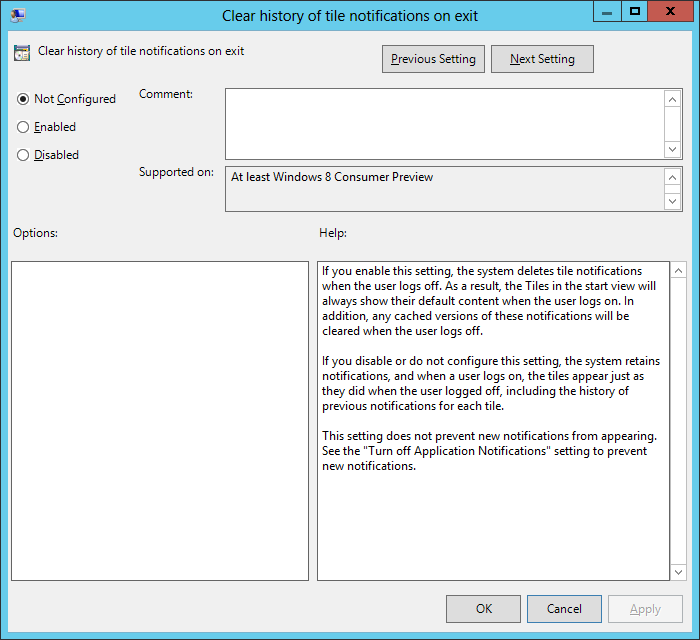 Pop-Up Notification can be annoying and sometimes you just don’t want them to appear. 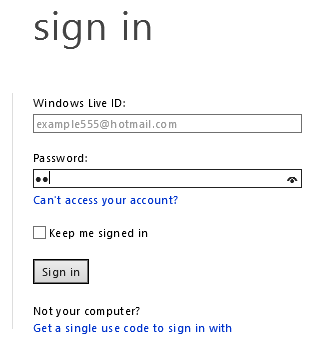 Handy for computers in meeting rooms or used for presentations. 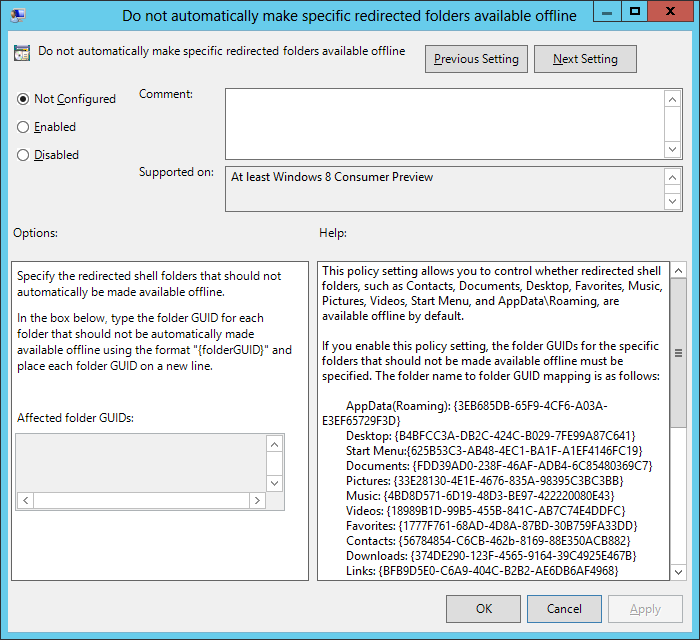 Allows you to selectively not make some redirected folders available offline rather than all or nothing. 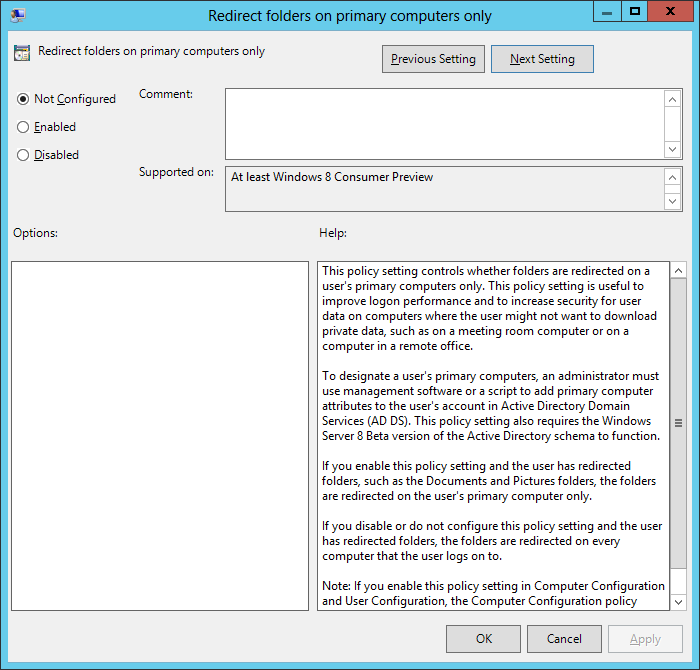 Allows you to pre-copy the data in a users redirected folder to a new location to make the process quicker. 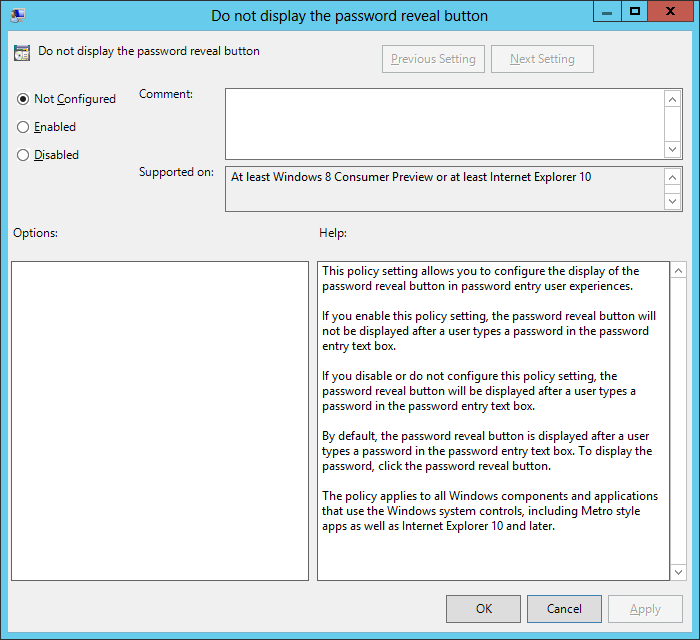 This option disables that dot with a line over it that reveals a password if you want to check you have typed it correctly. 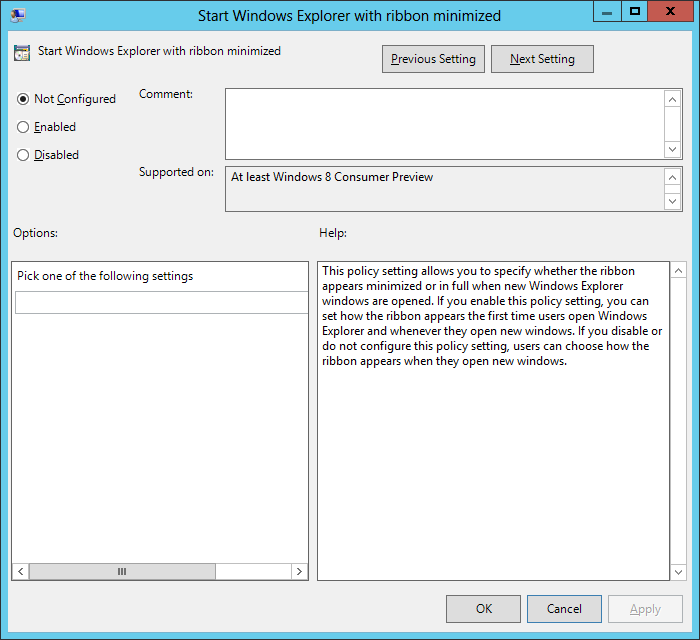 If you have not noticed Explorer now come with a ribbon that is minimized by default. 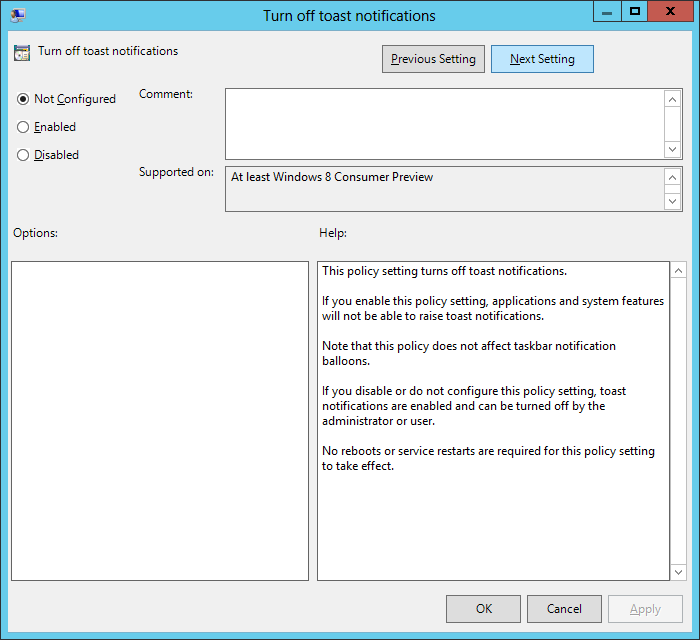 Use this option if you want to reverse that behaviour. 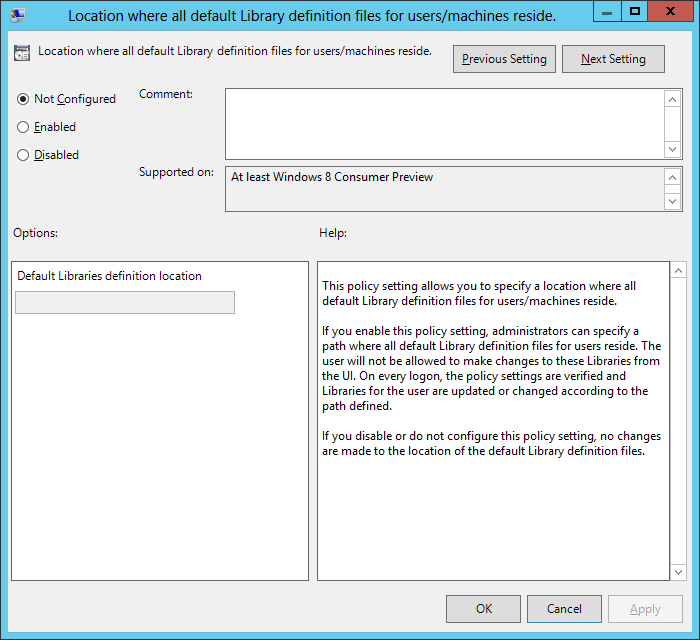 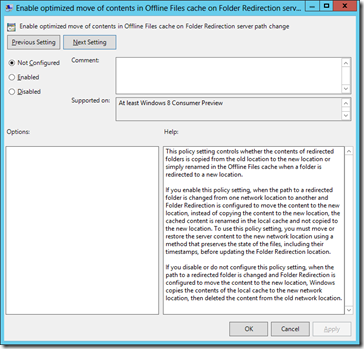 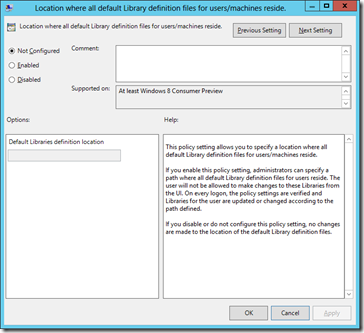 Great option for configuring the location of Libraries at last via Group Policy.